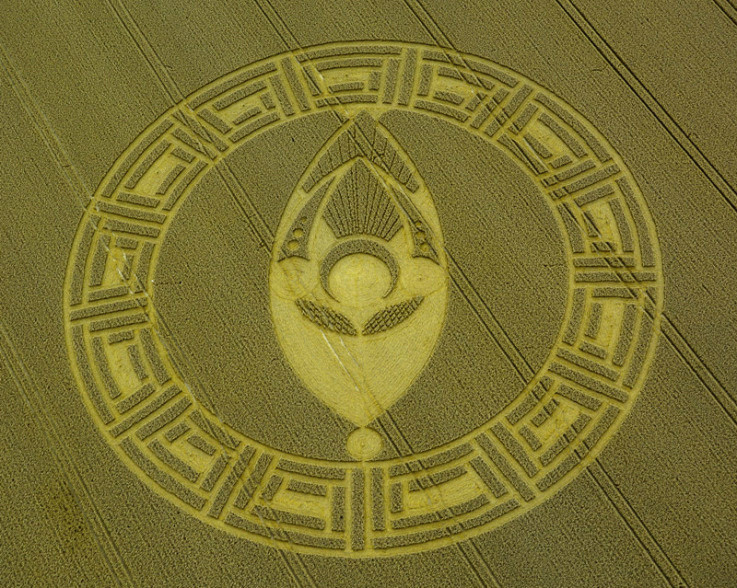 CROP CIRCLES is a familiar term for most people. Still, we do not know how they are created. They show up all over the world, but mostly in England. They even show up in the winter in the snow. Of course, than we call them "Snow Circles". It appears as there is a language or a code in the design of each one, and they are all different. On very rare occasions some circles was observed when it was created. On one occasion, there was a small blue light observed flying low over the field right before its creation. The actual creation of the circle was even recorded on Video. The blue light was flying above the field, and the crop just bent and laid down forming its intricate design. The whole formation of the Crop Circle took about three seconds from the time when there was nothing, to when it was complete. It is obvious an advanced technology is being used. Our present day science may know of the technology, but not of its use to create the effects displayed in the Crop Circles. Science may find one day that there were used a combination of Radio waves and "directional Microwave Blankets". Only one thing is for sure, it is not "Dave and crew" from England, traveling all over the world to all five continents making these circles with their rope and stick.